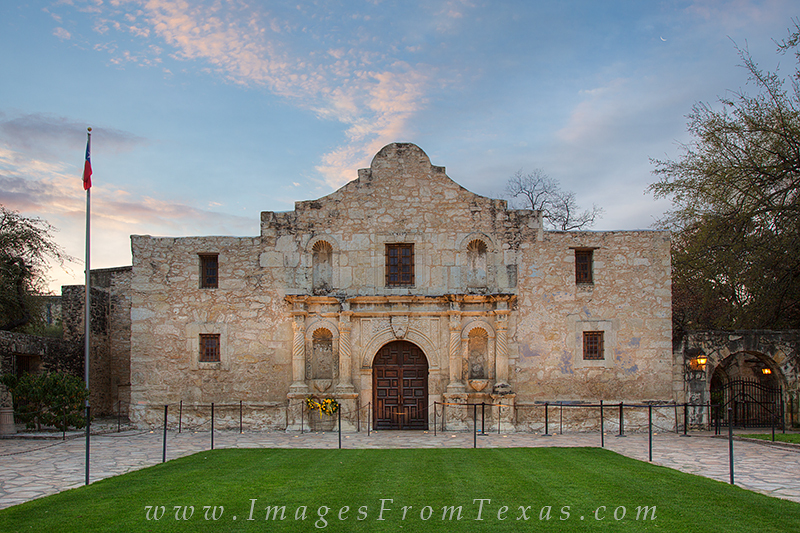 Near downtown San Antonio, the Alamo stands as a reminder of Texas' independence from Mexico. Though most soldiers in this fort were killed by General Santa Anna's men on March 6th, 1836, "Remember the Alamo" became a battle cry as Texans later rallied and later fought and gained their freedom from Mexico. Originally called the Mission San Antonio de Valero, the Alamo exists now as a museum to educate visitors and tourists on a rich and dramatic time in Texas history. Near downtown San Antonio, the Alamo stands as a reminder of Texas' independence from Mexico. Though most soldiers in this fort were killed by General Santa Anna's men on March 6th, 1836, "Remember the Alamo" became a battle cry as Texans later rallied and later fought and gained their freedom from Mexico. Originally called the Mission San Antonio de Valero, the Alamo exists now as a museum to educate visitors and tourists on a rich and dramatic time in Texas history. Photo © copyright by Rob Greebon.